Wilder’s RSI is a commonly used lagging indicator. When you combine it with time-segmented volume and the right parameters, it becomes a very powerful not to mention one of my favorite indicators along with the ease to movement indicator. I had a hard time using RSI alone to identify when to buy and sell. No matter what number I inserted, I just couldn’t find good entry and exit points. That was part of my impetus for creating the combined RSI indicator, which has proven to be very successful for me. 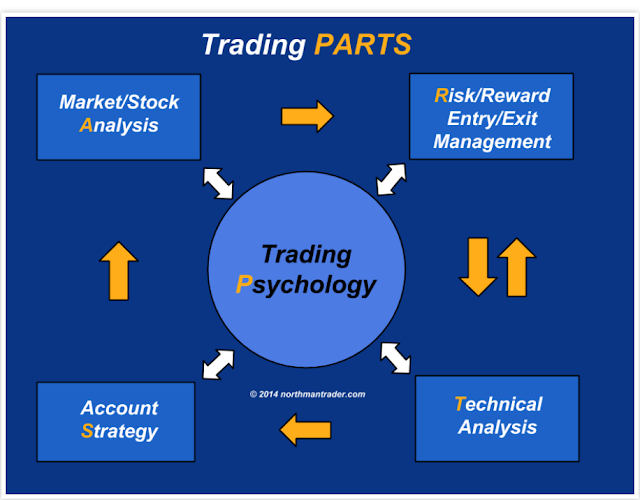 RSI can also help you identify when to exit a trade. 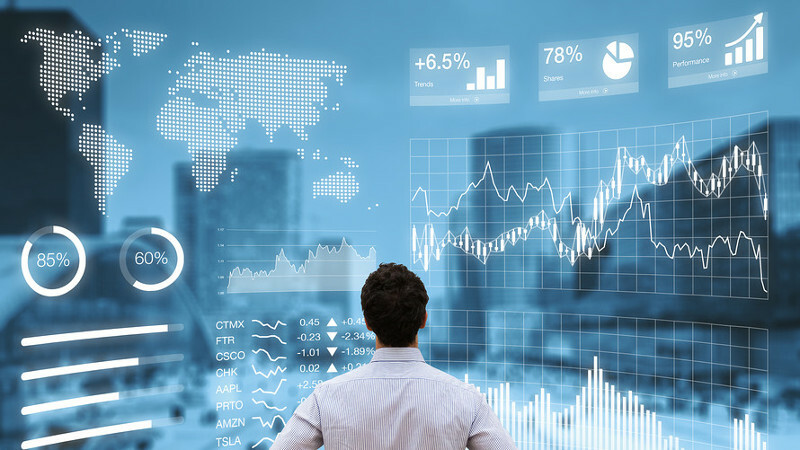 The Relative Strength Index (RSI) is a technical indicator used in the technical analysis of financial markets. 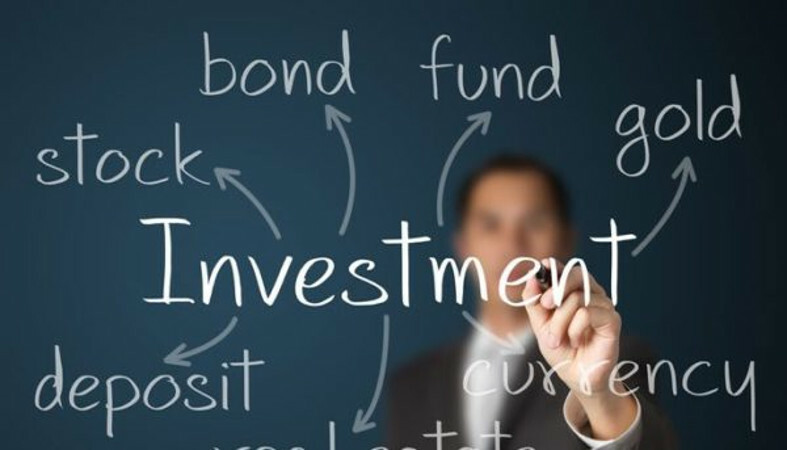 It is intended to chart the current and historical strength or weakness of a stock or market based on the closing prices of a recent trading period. The indicator should not be confused with relative strength. Wilder believed that tops and bottoms are indicated when RSI goes above 70 or drops below 30. 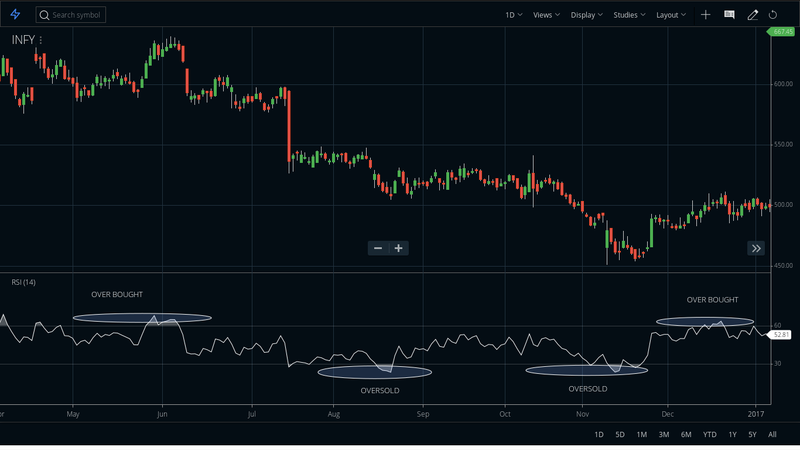 Traditionally, RSI readings greater than the 70 level are considered to be in overbought territory, and RSI readings lower than the 30 level are considered to be in oversold territory. In between the 30 and 70 level is considered neutral, with the 50 level a sign of no trend. 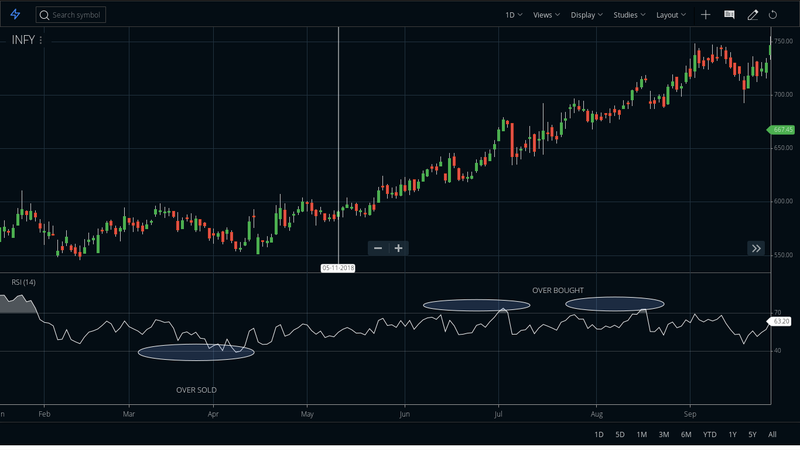 Wilder further believed that divergence between RSI and price action is a very strong indication that a market turning point is imminent. Bearish divergence occurs when price makes a new high but the RSI makes a lower high, thus failing to confirm. Bullish divergence occurs when price makes a new low but RSI makes a higher low. Wilder thought that "failure swings" above 70 and below 30 on the RSI are strong indications of market reversals. For example, assume the RSI hits 76, pulls back to 72, then rises to 77. If it falls below 72, Wilder would consider this a "failure swing" above 70. 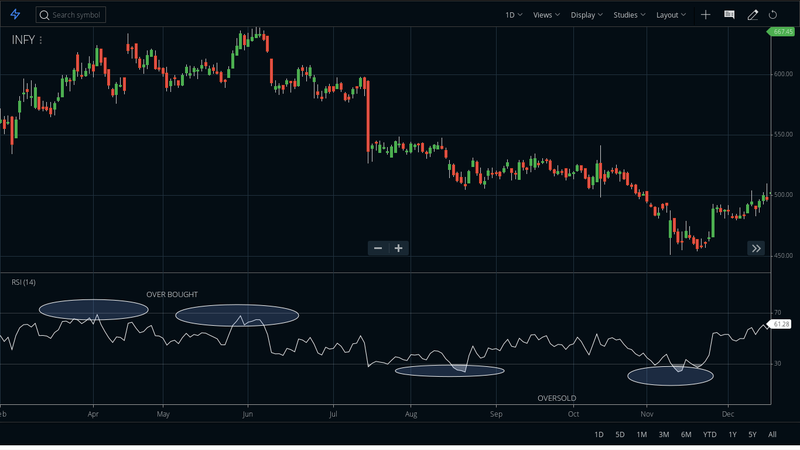 Finally, Wilder wrote that chart formations and areas of support and resistance could sometimes be more easily seen on the RSI chart as opposed to the price chart. The center line for the relative strength index is 50, which is often seen as both the support and resistance line for the indicator. 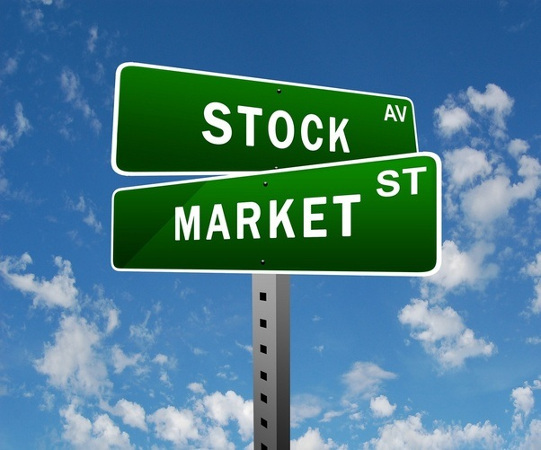 If the relative strength index is below 50, it generally means that the stock's losses are greater than the gains. When the relative strength index is above 50, it generally means that the gains are greater than the losses. In Bull Markets the level is 70 and 40. The RSI moves down during periods of declines decline. It usually finds support around 40. Now, in one such decline, the RSI crosses 40 and finds support around 30. A zone shift has taken place. This is one of the first signs that the market may be shifting from a bullish to bearish environment. The RSI rallies and finds resistance around 70. During a rally, the RSI rises but finds resistance around 60. This may be a sign that the market is changing from bullish to bearish. This is also an example of zone shift. In Bear Market the level is 60 and 30. The RSI moves up during periods of bear rallies. It usually finds resistance around 60. Now, in one such rally, the RSI crosses 60 and finds resistance around 70. A zone shift has taken place. This is one of the first signs that the market may be shifting from a bearish to bullish environment. 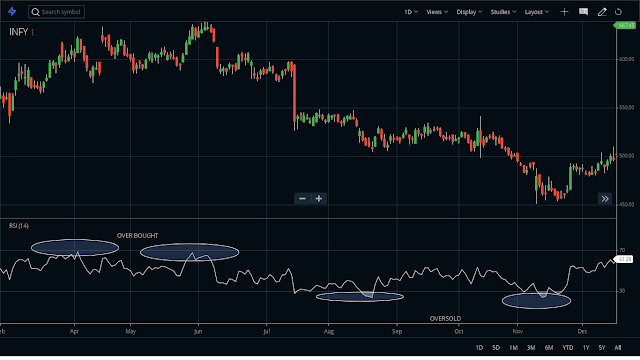 The RSI falls and finds support between 20 to 30. 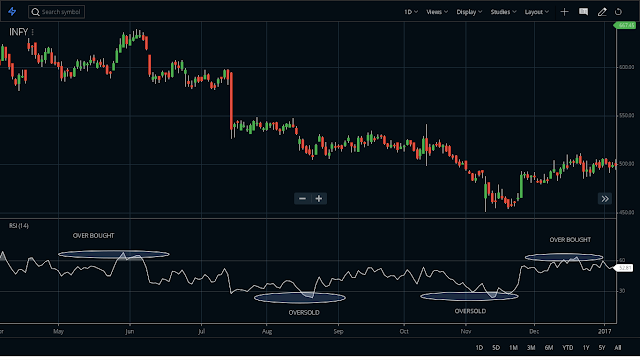 During a decline, the RSI falls but finds support around 40. This may be a sign that the market is changing from bearish to bullish. This is also an example of zone shift.